This recipe is not the traditional one..i tried this from a blog foodilicious cooks at work...it tastes like a pudding and is very light on stomach.do try this ..you will simply love this and the best thing is that it takes less than 30mins to make it... i make it at every party i host . Boil the milk with cardamoms and simmer. On the other hand as u put the milk to boil...in a seperate bowl beat sweetened condensed milk,corn flour,sooji,egg,nestle cream and vanilla essence with a hand mixer. Now slowly add this to the simmering milk and keep mixing with a spoon to avoid lumps. Keep stirring continously till the kheer thickens. Check the sweetness and add sugar if needed. The kheer should medium thick in consistency. 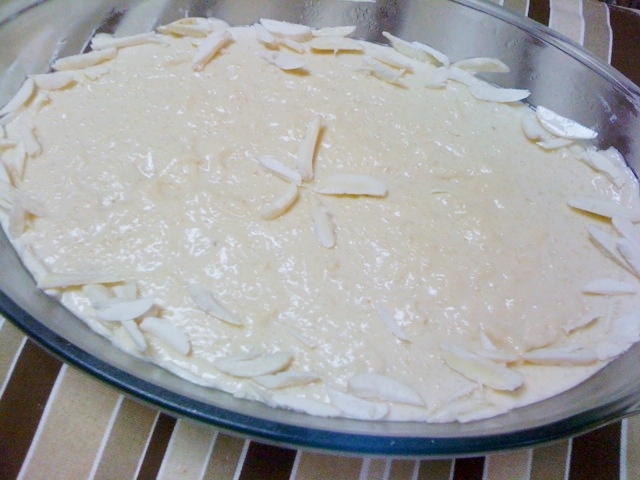 Pour this kheer in a serving dish and refrigirate for minimum 4 hours to set. Asakm anjum, just wondering how much each nestle cream can is weight wise?How many grams I mean? Could you please tell us. hiee anjum.. for 3 tbspn of suji, the quantity of sweetened milk is 400 grms ??? is it really ok ?? plz update the above info in the recipe so as to avoid confusion. thnk u .